A loving home and some affection can make all the difference in the world. Here are 8 animals who got a shot at life that they deserved. The previous owner of Jake had dumped him. So when he was adopted, he constantly looked around as if searching for somebody. He would spend most of his time lying around or crying. When Jake was taken on walks, he would hang his head low and hunch his back and look tired and scared. He had a flea infestation and infections in both ears, with one ear so deeply infected with MRSA that he had to have surgery to remove that ear canal. Hank was discovered as he was wandering the streets of a suburb in Sydney. 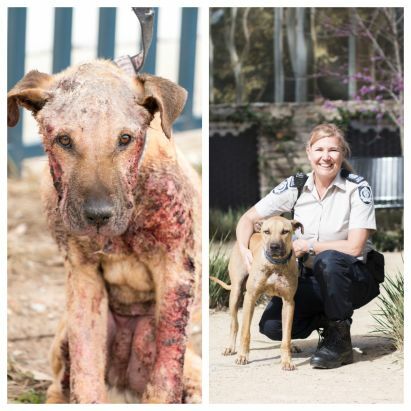 He was suffering from mange, a very severe case which had caused his skin to crack and bleed. Hank was also extremely underweight for his age. Fortunately, a passer-by called the RSPCA to report Hank’s location and an inspector was immediately sent out to pick him up. 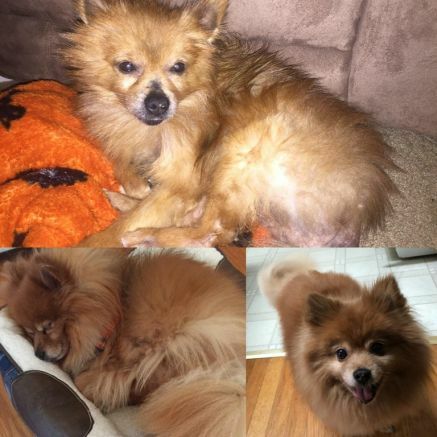 When Hank was sent to a shelter, he could barely move or eat due to discomfort. That didn’t stop Hank from still wagging his tail. 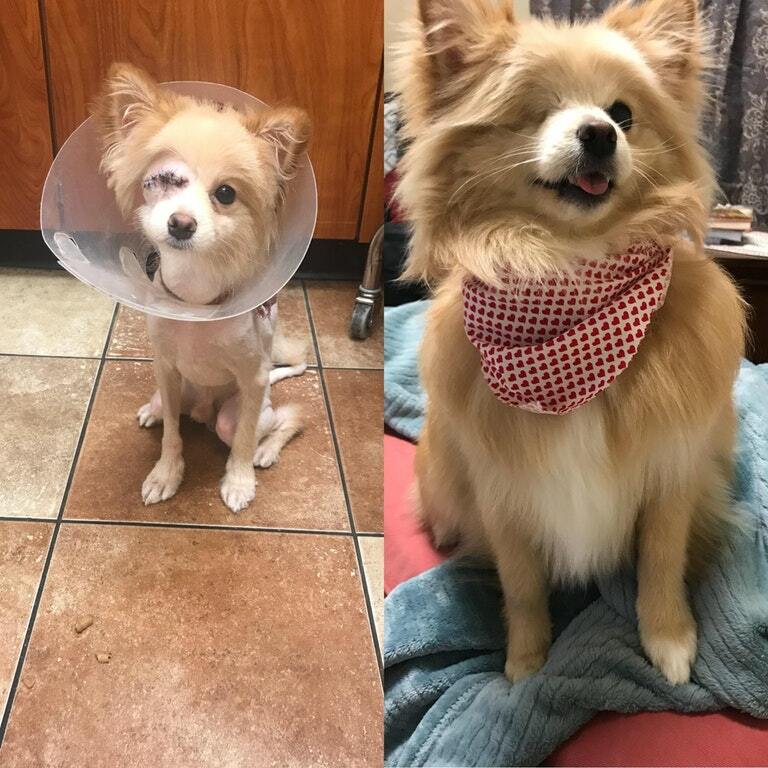 Just two weeks later, Hank had gained weight, his skin was making a fast recovery and he was being able to play with toys just like a normal puppy. After getting adopted, Hank started living in a house next to the beach with a little puppy brother named Marley. Maverick was severely injured, had lost his eye and had a lot of anxiety because he was kept at an abusive home. His eye had to be removed because of the abuse he had suffered. The vet had to prescribe him anti-anxiety medicine when he was brought in for the first time after rescuing to help him recover from the trauma of his abusive home. This photo was clicked just 6 months after Maverick's rescue and the change is stupendous. This dog at a shelter, suffering from mange, was just a few days away from being euthanized. 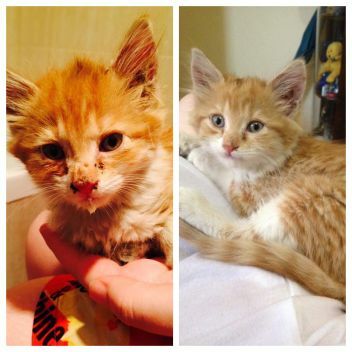 He was rescued by a champion, Reddit user jackrabbitseo, from a local shelter. The dog was was so unwell and miserable that he would just sit in the corner and cry. When jackrabbitseo opened his cage at the shelter, he inched towards him and just kept his head in his hands. 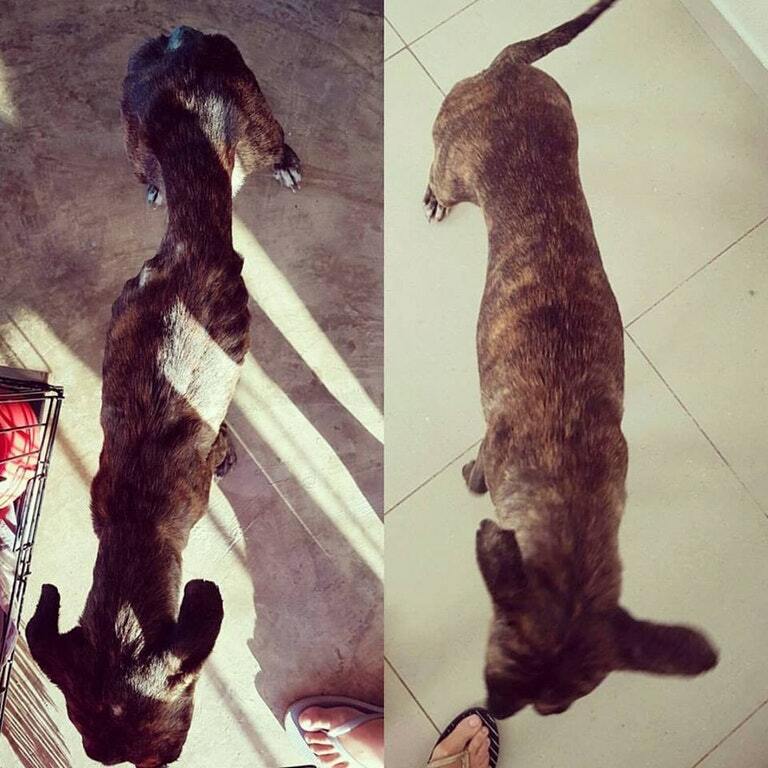 It took 6 months and a lot of money spent for his recovery, but just look how healthy he looks. Roxx was a doggo previously abused at the home where she used to live. In just 4 weeks of therapy, Roxx had already started showing signs of improvement. After completely healing, she was sent to a new forever home. 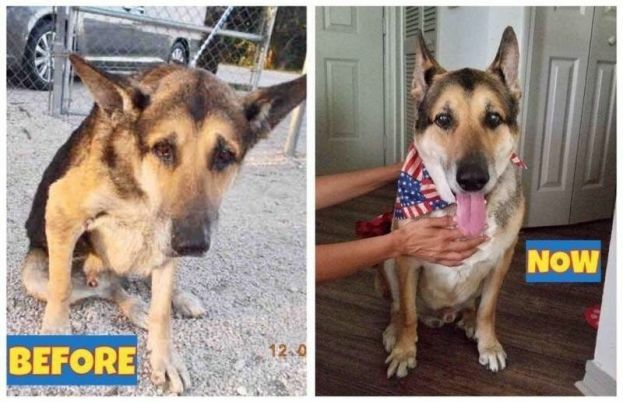 Lemonhead showed up in a blizzard under a car, severely malnutritioned, almost freezing to death and wrought with worms, fleas, mange and broken teeth. He was taken to the vet where the people who found him discovered that he was not microchipped nor did he have a collar. The vet refused to give him vaccinations until he gained some weight. In 2 years, Lemonhead went from 7lbs to nearly 14 lbs. The people who found him started calling him “Little Monster” - LM for short. LM became Lemmy which became Lemon and eventually Lemonhead stuck. 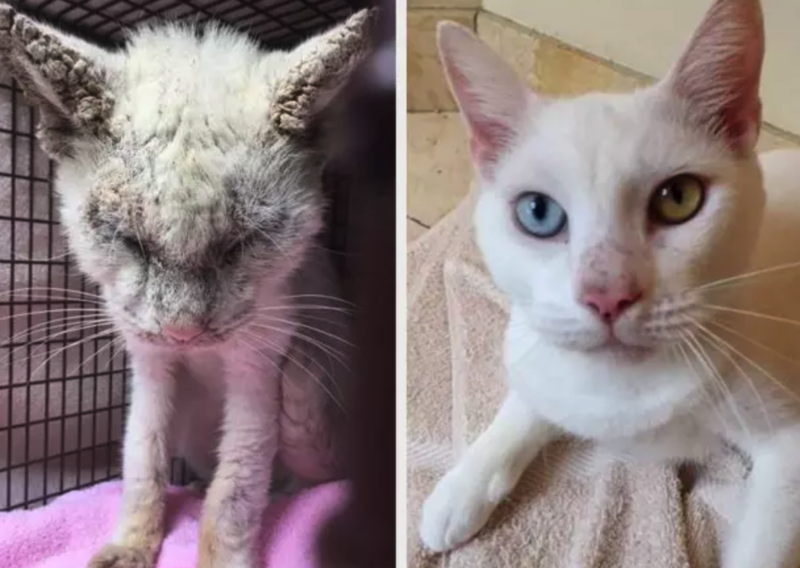 This cat, Cotton, was found in the outdoors, blind and unable to open his eyes even. A visit to the vet confirmed that he had mange. On treating the mange, Cotton regained his vision. Turns out he has one blue and one yellow eye. He is now a healthy and frankly quite gorgeous cat. This is Mittens. She was found walking across the street. After she was taken to the vet, it was discovered that she had cat flu and also a stomach full of worms. She was also quite dirty. 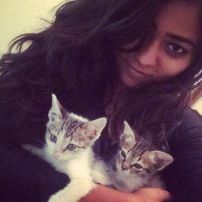 The two sisters who found the cat eventually adopted her full time after the vet administered vaccinations, gave her medicines and microchipped her. Initially their parents were against the adoption but they eventually caved into the charms of this cutie. You can see more heartwarming before and afters here. If you’ve never heard of puppy mills, you gotta read this article through and through. 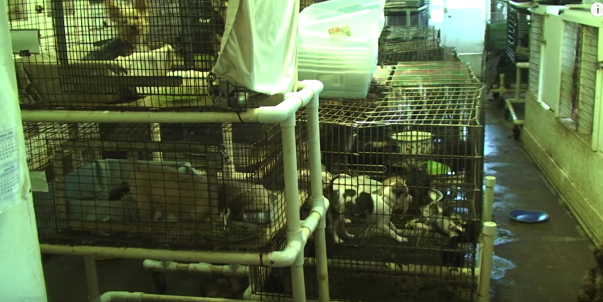 Most of the puppies (roughly 90%) that are sold in pet stores or that are sold on the internet come from Puppy Mills. Most of the cats, similarly, come from cat mills. These mills are mast-breeding facilities that simply focus on their profits. The retailers who buy from these mills often don’t believe the stories behind the mills and take the wholesaler’s word regarding the well being of the animals. 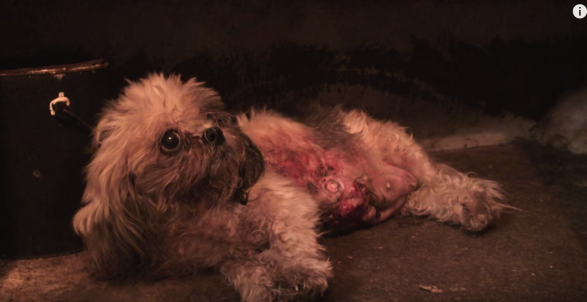 In reality, the wholesalers abhorrently have very little regard for the health of the animals, their sole purpose being churning out puppies and cats continuously. These establishments themselves are legal, however the lack of regulations is stunning. The squalid conditions in which the animals are unbeknownst to most. The cages are small, dirty and overcrowded. Most often the animals are not protected from extreme weather. The animals have no choice to exist and move around with their own excrement. 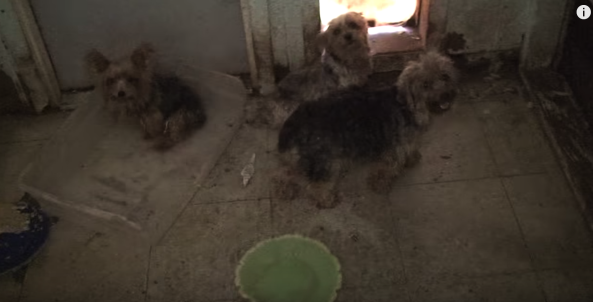 If somehow the animals survive these cruel living conditions, they’re subject to other tortures. They are more often than not deprived of nutrition or worse, given severely unsanitary food and water. The animals that fall sick under these conditions are deprived of veterinary care. Worst is the way the female dogs are treated. They are bred at every opportunity and are given practically zero recovery time between their births. Puppies are traumatically snatched from their mothers at early stages because of which most suffer from serious behaviour problems. And the breeding dogs stop being useful, they’re discarded in brutal ways - either killed, abandoned or sold at auction. 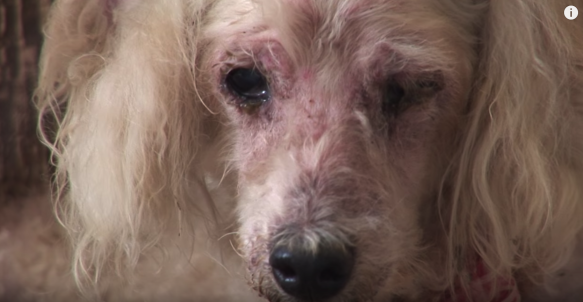 Fighting puppy mills has become very important. The good part is that from almost all places, when you adopt a pet, the cost of spaying/neutering, first vaccinations (and sometimes even microchipping!) is included in the adoption price. If its an older animal you’re adopting, these procedures and vaccinations may already be complete. Just how many animals need rescuing? Since these mills flood the market with ‘pedigree’ animals, they reduce the scope of shelter and rescue animals being adopted. In the United States alone, 6 - 8 million animals enter shelters every single year. What’s heartbreaking is that 2.7 million dogs and cats are euthanized each year even though they are in perfectly adoptable condition, because too many pets come into shelters and too few people consider adoption when they want to bring home a pet cat or dog. Only about 15 percent of people in the U.S. who have pets chose to get them from a shelter or a rescue group.